Maimonides and most other authorities consider the obligation to believe in God to be one of the six hundred and thirteen mitzvos, and understand this to be the obligation expressed in the opening sentence of the Aseres HaDibros – Ten “Commandments” – (Exodus 20:2), “I am Hashem, your God, Who took you out of the land of Egypt, from the house of slavery.” There are, however, some authorities, such as the Halachos Gedolos (circa the 8th century), who do not include this obligation in their catalog of the 613 commandments. It should be clear at the the outset that all opinions, whether or not they include it in their formal catalog of the mitzvos, consider belief in God to be absolutely obligatory and foundational to Judaism. Belief in God is axiomatic to Judaism and failure to believe in God puts one completely outside the bounds of Judaism. Nevertheless, despite its importance, there is good reason to omit the obligation to believe in God from a formal catalog of the mitzvos. The entire concept of a commandment presupposes the existence of an authority that issues commands. A commandment to believe in the existence of the authority that issued the commandment is logically impossible. So how, then, can a person be commanded to believe in God? Either he already believes, in which case the commandment is unnecessary, or he doesn't believe, in which case the commandment can have no meaningful authority or content. This point is so basic that it raises the question of how to understand the position of those, like Maimonides, who do include the obligation to believe in God in their catalog of the commandments. There are several answers to this question, all of which basically distinguish between the basic recognition of God's existence, which, in fact, cannot be commanded, and the mitzvah of emunah (belief) or yedias Hashem (knowing God), which can begin only after that first basic recognition has been achieved. It is only after we have achieved this basic recognition that the actual mitzvah of emunah comes into play. This mitzvah obligates us to take steps to reinforce and internalize our recognition of God, so that it becomes a basic part of our personality. Many sources see this as the intent of the famous verse in Deuteronomy (4:39), "And you shall know today, and take it to your heart, that Hashem is God in heaven above and upon the earth beneath; there is none else." There are two stages, first you must "know" that Hashem is God, and then you must "take it to your heart." There are a wide range of methods that can be used for this purpose. In fact, the bulk of Jewish practice is intended to help us work towards this goal. Thus, the observance of the Sabbath is intended to reinforce our belief in Creation, the various holidays reinforce our belief in God's supervision over the events of the world, prayer reinforces our belief in God's supervision over every aspect of our lives, and so on through almost everything we do as Jews. Moreover, the very act of living a life in obedience to God's will helps us internalize our belief in Him. When we refrain from a forbidden act, whether it be eating a forbidden food or speaking lashon hara, we reinforce in our minds the reality of God's existence. 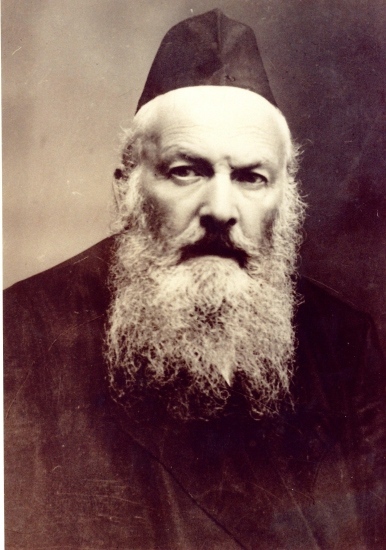 A somewhat different, more mussar oriented, approach is given in a famous essay by Rabbi Elchonon Wasserman (d.1941) printed in Kovetz Maamarim. R' Wasserman writes that, in truth, God's existence is so self-evident that it should be clear to any rational person. Why then do so many intelligent people fail to recognize this truth? R' Wasserman answers that human beings have an extraordinary talent for self-deception, i.e. intelligence does not necessarily equate to rationality, and when we don't want to accept a truth, we are very capable of fooling ourselves into denying even the most self-evident of truths and of using our intelligence to provide apparently rational arguments for our self-serving desires. Based on this, Rav Wasserman argues that the commandment to believe is actually a commandment to work on ourselves to subdue and rectify those natural inclinations and character flaws that cause us to deny that which should be obvious. Once we do so, belief in God's existence will come naturally as a self-evident truth. ...all those that have no religion, neither one based on speculation nor one received by tradition.... I consider these as irrational beings, and not as human beings; they are below mankind, but above monkeys, since they have the form and shape of man, and a mental faculty above that of the monkey. Maimonides believed that only a fundamentally irrational person could deny this most basic of self-evident truths - the existence of God. The reason why so many of us struggle with belief in God is because, as in many other areas of life, what we are really struggling with is our natural inclination towards self-serving irrational behavior.